McMaster University’s Global Health student, Madeline McDonald completed this report within the Masters in Global Health program, under the supervision of Dr. Elysée Nouvet. The Hashemite Kingdom of Jordan shares its northern border with the Syrian Arab Republic, and has been one of the main receiving countries of fleeing refugees since the beginning of the Syrian conflict in 2011. Currently over 650,000 Syrian refugees live in Jordan, most outside of refugee camps (Ministry of Planning and International Cooperation, 2015). Refugees face many significant health concerns, both acute and chronic. While some are related to the conflict such as injuries and infections, non-communicable diseases claim the most Syrian lives (UNHCR, 2016b). 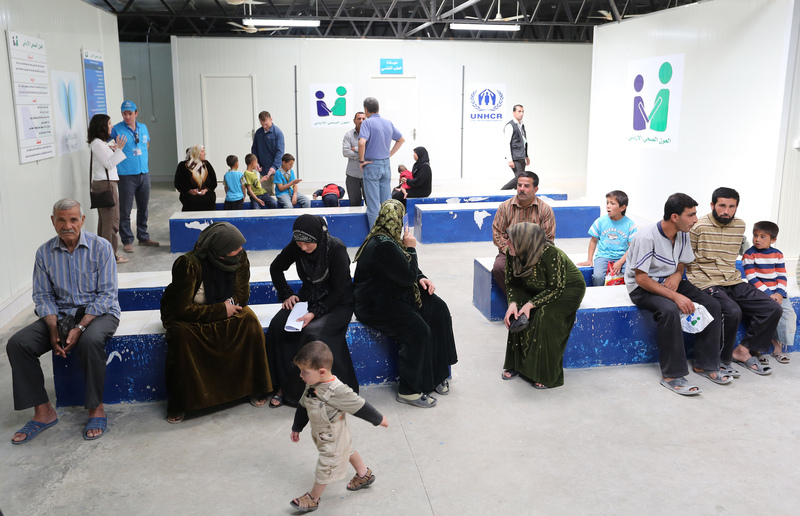 Refugees receive care within the extensive Jordanian health system, which includes public, private and NGO facilities and services. The influx of refugees has put increased strain on both medical and human resources within the Ministry of Health in Jordan. This paper examined factors affecting provision and accessibility of palliative care Syrian refugees. Palliative care focuses on providing relief from symptoms, pain and stress of a serious illness for patients and families (Razzak & Smith, 2014). Formal palliative care services are only available in the capital city of Amman: one in-patient palliative care unit and one home-based care service (Al Qadire et al., 2014). Jordan has no national policies on palliative care, nor palliative care education for health care providers. Financial factors include costs to the patients and families for registration documents, user fees, medications and transportation. The health care system also incurred sizeable costs from providing care for the incoming refugees in addition to citizens. Systemic and organizational factors complicate access to care through rigorous identification and registration requirements for refugees. Health care services are not evenly dispersed, nor are they equally accessible to all. Strict regulations surrounding the distribution and use of opioids restrict use for pain management. Important cultural and ideological factors include a tradition of non-disclosure about poor prognosis, and the role of the family unit in decision-making and caring for patients. Many Muslims have strong religious beliefs about illness and death, which are reinforced by cultural norms. Finally, negative perceptions, misconceptions, and lack of awareness about palliative care, pain management and the use of opioids play an important role. In conclusion, some future directions for research and policy are proposed for the national and international levels. These will support improvement and expansion of palliative care services in Jordan as a resource- and cost-effective way to provide better care for refugees and citizens alike. PHOTOGRAPH: Syrian refugees seek medical attention at the Jordan Health Aid Society Clinic in the Zaatari refugee camp, located 10km east of Mafra, Jordan on June 04, 2014.